Ah, Thurlby Domain is a very special place. The stone ruins are part of the original homestead built for the Hallensteins Brothers. Now a heritage listed site, it is a wonderful location for intimate weddings. The grounds are filled with centuries old fruit trees providing much-needed shade on a hot, sunny day. Our couple had family come from the UK for their small, intimate ceremony. 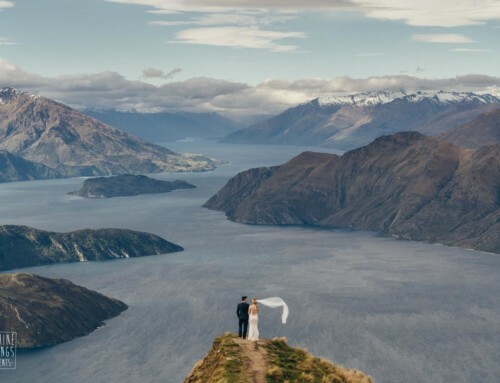 We arranged decor and seating with the help of Wanaka Wedding Hire. Flowers and arch decoration came from The Flower Room. Scott was both photographer and film-maker. Having one man instead of multiple crew members keeps the feeling of intimacy. It allows a real trust to form between couple and cameraman. This trust translates to natural and connected footage. After the ceremony Scott took photos and video around the Thurlby Domain ruins. 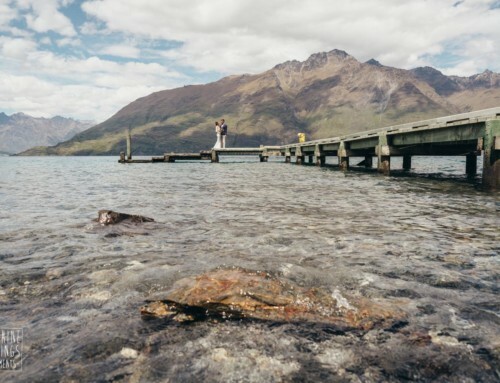 Next they headed off to Lake Hayes for a few pics. Then a short helicopter flight to The Ledge on Cecil Peak for some mountain photos and a spot of random dancing. 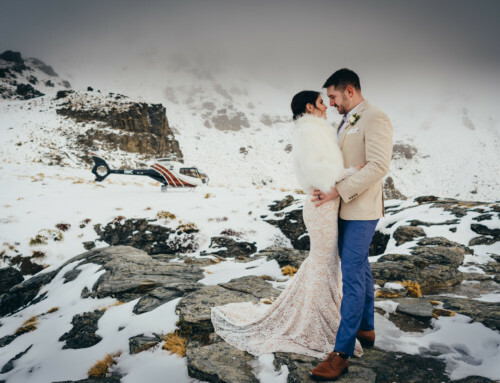 Nez and Justin booked our Thurlby Domain and mountain photoshoot wedding package for their intimate family wedding plus flowers, decor and furniture. 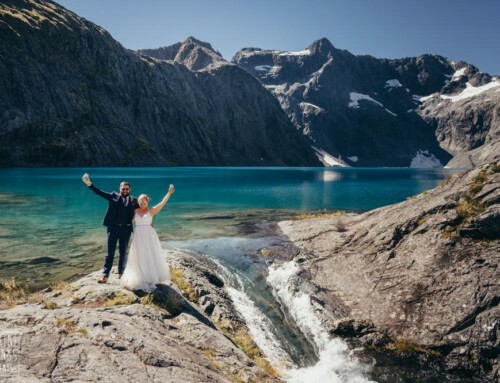 This included 4 hours photography, planning, coordination, celebrant, bubbles, helicopter flight to The Ledge – Cecil Peak, bouquet and buttonhole plus decor and furniture at the venue. They added on an extra hour of photography time plus a highlight video.